Leanne Lispi is an Executive Director and Transaction Manager at Broadacre Financial overseeing loan closings. Leanne has worked in the real estate industry, closing commercial real estate loans, for nearly twenty years. During such time she has worked at Merrill Lynch and UBS Investment Bank where she managed hundreds of transactions from the term sheet phase through closing. Loans ranged from CMBS conduit and large loans, mezzanine loans, construction financing, short-term bridge and complex balance sheet loans. These loans were secured by collateral of all major asset classes consisting of land, infrastructure, retail centers, office buildings, multifamily developments, manufactured housing, industrial properties, self-storage facilities and hotels. Leanne also worked at Amalgamated Bank where she played a key role in reinstating the bank’s commercial real estate lending platform after the market downturn and ran the loan closing department. At Amalgamated, Leanne also served as a member of the bank’s credit and loan quality committees and was actively involved in the structuring and credit analysis of the bank’s loan transactions. 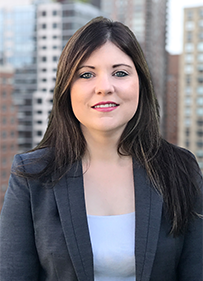 Prior to her time at such financial institutions, Leanne was also a real estate finance associate at the law firms of Thacher Proffitt and Wood LLP, Cole, Schotz, Meisel, Forman & Leonard, P.A. and Coudert Brothers where she advised clients on transaction structuring, rating agency criteria and capital markets and negotiated and closed multi-billions in loan transactions secured by domestic and foreign real estate on behalf of such clientele. Leanne received her Juris Doctor from Brooklyn Law School and her Bachelor of Arts from Rutgers University.